A popular leaf shine, Einstein Oil contains the finest quality, first extraction, cold-pressed neem oil. 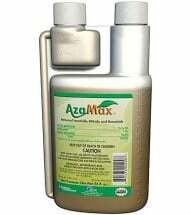 It is also enhanced with several other potent herbal ingredients to keep leaves clean and plants healthy. All ingredients are 100% non-toxic and the best available. 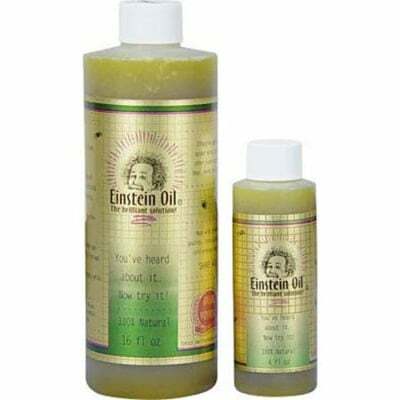 Available in 4 oz and 16 oz sizes. Mix 1/2 – 2 tsp per quart of warm water with a couple drops of mild dishwashing soap (used as a surfactant) and apply as a foliar spray. 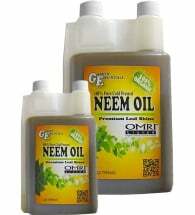 A 100% pure cold pressed neem oil that’s OMRI Listed for organic production. 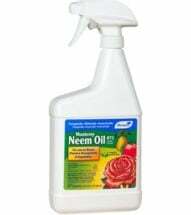 An easy to use, ready to spray formula that works both indoors or out. 100% Natural. 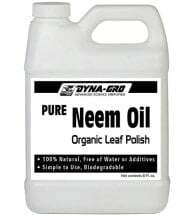 Cold-pressed and free of water and other additives for high quality.